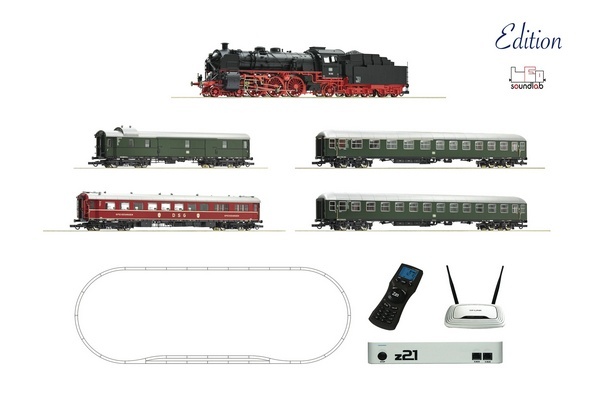 z21® Digitalset: Steam locomotive class 18.6 with fast train of the German Federal Railway. Size: approx. 330 x 140 cm.